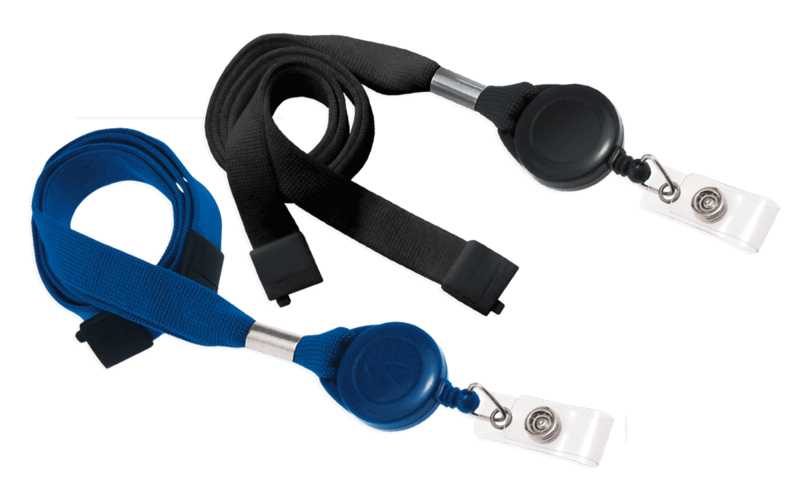 This 16mm wide break-away lanyard with attached badge reel and clear snap strap provides the ultimate level of convenience and usability. The badge reels and clear vinyl strap are permanently attached to a high quality 16mm tubular lanyard, so you don't have to worry about losing your ID or proximity card. Safety is also engineered into this neck lanyard with a detachable break-away that is built into the back of the neck strap. The breakaway pulls apart if any part of the lanyard is pulled with force. Lanyard material: 16mm tubular braided polyester. Attachment: slotted badge-reel with clear vinyl strap. Plastic round slotted reel with clear vinyl strap connected to a break-away lanyard.